Location: On the south side of Lower Knowle Road, at the end of a cinder track running from the road bridge south east of the station site. 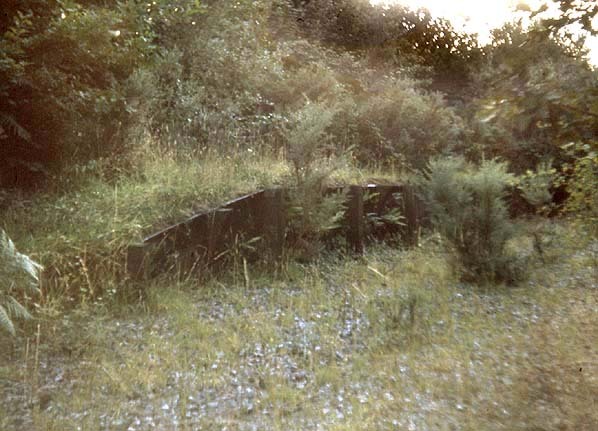 Present state: Much of the platform remains, although in a derelict state. 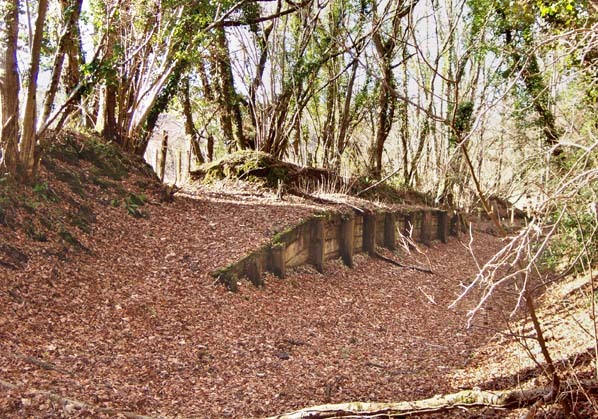 Notes: Hawkmoor was the smallest and most basic station on the line, the station was built from old sleepers to a length of 48ft.It consisted of a small waiting room, a bench and a name board It was located on the 'down' (west) side of the track. The name was shared with an isolation hospital nearby. Some visitors used the halt for their first visit to the hospital and found that although the hospital was only ¾ of a mile from the halt as the crow flies it was, in fact, over twice that distance uphill and along narrow lanes. Eventually it was decided to find an alternative name for the halt. The most obvious would have been Knowle, named after a hamlet in the area, however British Railways preferred name individuality and as the name existed elsewhere on the western network they opted for the name Pullabrook, a nearby farmstead. 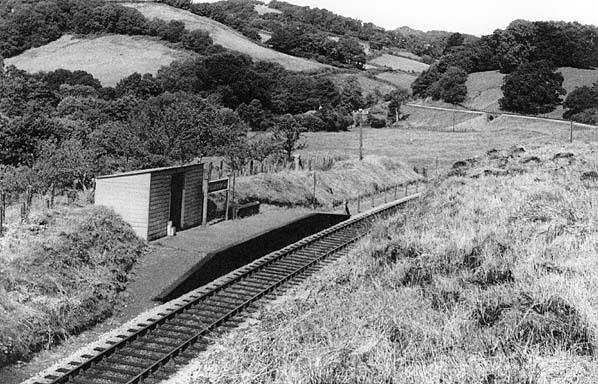 Therefore the halt was renamed Pullabrook on 13th June 1955, less than four years before closure!